More than 130 million surgeries are performed each year in the United States based on a number of reports from the medical industry. While some require only a local or topical anesthetic, the majority more involve in-depth measures. Most patients have no adverse reactions to these agents aside from a possible headache or nausea, but anesthesia isn’t without its fair share of dangers. If you or someone you love is scheduled for surgery in the near future, consider these points beforehand. Considering the high rate of surgical procedures now being performed, allergic reactions to anesthesia aren’t exactly common occurrences. That being said, they do happen. Symptoms can be as mild as a rash or welts on the skin or as severe as swelling of the tongue, eyes and throat. Breathing problems have also been known to arise after receiving anesthesia. According to a study conducted by the National Center for Biotechnology Information, full-blown anaphylaxis only occurs in an estimated one out of every 20,000 cases, but it can’t be ruled out completely. Its effects can take hold in a matter of seconds. Less than a century ago, the anesthesia death rate was about 640 out of every million patients going under the knife. This figure dropped drastically after improvements in anesthesia options, administration techniques and safety protocols were put into play. Today, the numbers may be heading in the wrong direction per a writeup in Time. Experts have discovered possible new links between anesthesia and patient deaths occurring within a year after surgery. Studies on the matter are still in their early phases, but age seems to play a role here as patients over the age of 65 appear to be at higher risk than others. By nature, anesthesia causes temporary amnesia, inflammation of brain tissue and a certain level of cognitive slowdown. Recent research shows it may also increase the risk of developing Alzheimer’s for aging patients by as much as 35 percent. This is believed to be largely connected to the fact that older patients take much longer to recover from anesthesia than younger ones. The gap here is a difference of months as opposed to days or weeks. Though countless patients suffering from a wide range of conditions breeze through surgery without experiencing any unexpected repercussions, some medical issues can increase the risk of anesthesia-related complications. Kidney damage, alcoholism, smoking, diabetes, heart conditions and respiratory problems like asthma and COPD fall into this category. Based on some accounts, these factors can increase a patient’s chances of negative anesthesia reactions considerably. Studies on the long-term effects of anesthesia in children show exposure can lead to developmental issues. These findings indicate children who required anesthetization before the age of three were two times more likely to suffer from learning disabilities and certain other developmental difficulties than those who didn’t undergo surgeries. 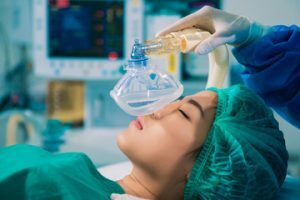 For quite some time now, researchers have been aware of a link between health issues among hospital workers and anesthesia gases escaping into the air in operating rooms. Exposure to “waste gases” as they’re called can lead to kidney disease, liver damage, miscarriage, birth defects and certain types of cancer among other issues. Those in facilities with substandard ventilation, improperly maintained anesthesia machines and poor safety protocol for such matters are at higher risks than others, but even minimal exposure has been found potentially unsafe. 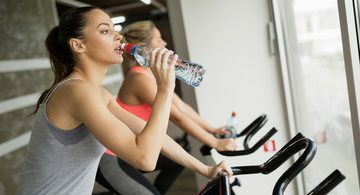 Medical personnel who’ve experienced these types of health problems may be able to learn more about this connection via Massachusetts medical negligence attorneys. Not everyone experiences long-term or deadly anesthesia-related problems during or after surgery. In truth, the number of cases reported each year is considerably small in comparison to the growing number of procedures being performed. Still, any risk is worth considering in advance of going under the knife.